“DANCE SCHOOL NYC” is a one week performance in which artist Harriet Plewis draws on dance to spark conversations, investigate current events and provide an opportunity to exist in a space together. “DANCE SCHOOL NYC” is open to everyone and attendees can drop in and out as they please. Plewis is hosted through DE-CONSTRUKT projekts and has been awarded funding through Arts Council England. 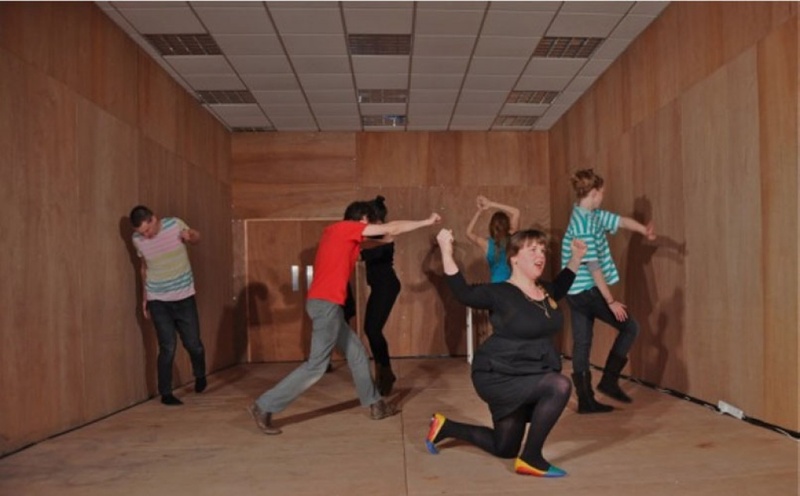 Harriet Plewis is an artist from England who works with performance and moving image. She has no formal dance training but continually investigates movement and choreographic processes within her work, as well as the blurred lines between ‘amateur’ and ‘professional’. “DANCE SCHOOL NYC” is a hybrid of her current research into the creation of a Danced Democracy and her recent work with alternative education experiments, namely the idea of developing schools from scratch.